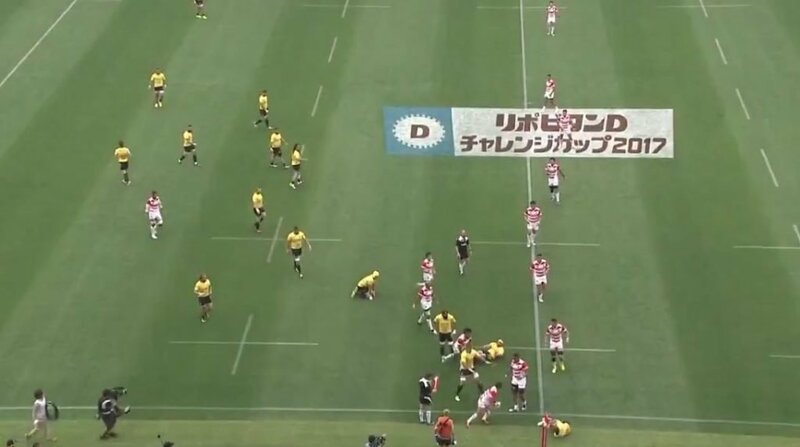 Japan showed how they can punish sides by the playing high tempo, aggressive rugby with this excellently worked try off a quick lineout. Brilliantly executed. While Japanese rugby has always been fast paced, it’s worth pointing out that Ireland punished them repeatedly in their recent two tests, looking to play a fast pace and get the ball back in play as quick as possible. It’s also a style that has been perfected by the kings of counterattacking rugby, the All Blacks.